Last week, we had the pleasure to launch new brands for Harlan Contract Research Services and PDS at the Society of Toxicology (SOT) 2014 Annual Meeting. 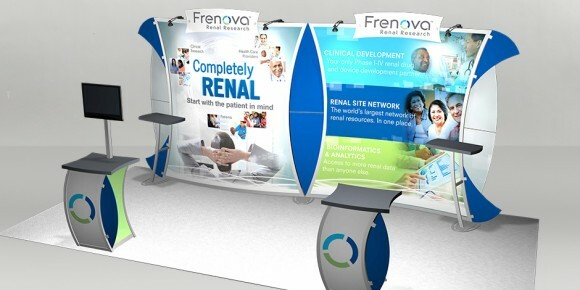 This week, we’re in Las Vegas for Partnerships in Clinical Trials (PCT) 2014, and we’re proud to help introduce the foremost name in renal clinical research: Frenova Renal Research. 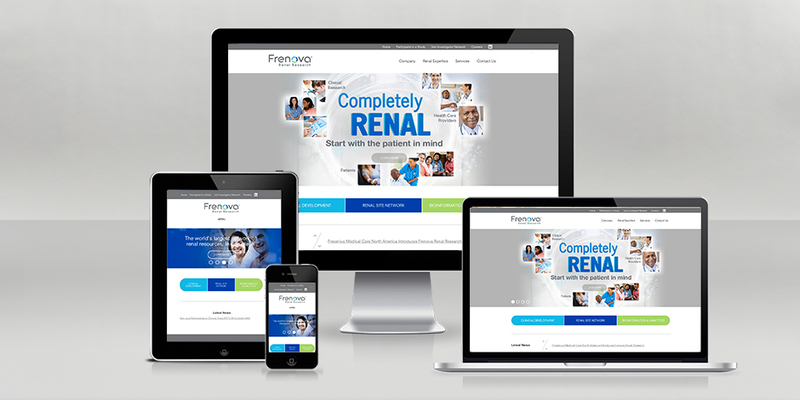 Backed by Fresenius Medical Care North America (FMCNA), the world’s largest provider of dialysis services, Frenova is the only Phase I-IV drug and device clinical development partner dedicated exclusively to renal research. As a Fresenius Medical Care North America company, Frenova maintains a world-class network of resources encompassing more than 200 principal investigators and 250 dialysis research sites. We also offer access to more than 390,000 active chronic kidney disease (CKD) patients and 183,000 active end stage renal disease (ESRD) patients. By pairing this extensive network with our bioinformatics capabilities to assess your protocol feasibility, drive patient recruitment and enrollment strategies and more, Frenova gives you confidence you can’t get anywhere else. No other clinical development services provider works with a more intimate understanding of patients affected by kidney disease and its comorbid conditions than we do. When you need to conduct a complete renal clinical program, trust the partner that’s completely renal — Frenova Renal Research.